Wish there was an easy solution for improving skin tone, minimizing wrinkles, and nourishing skin in one, rejuvenating treatment? 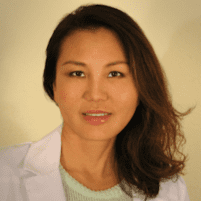 At Dr. Chow's Rejuvenation Practice in Lee’s Summit, Missouri, aesthetic medicine and anti-aging specialist Amy Chow, MD, offers HydraFacial® to clean and revitalize your skin in a single 30-minute procedure. With HydraFacial, you can get cleaner, brighter, glowing skin with long-term health benefits, without undergoing a painful or harsh treatment. Learn if the innovative HydraFacial is right for you. Call the office for an appointment or request the next available time online. After just one HydraFacial treatment, you’ll notice an immediate improvement in the way your skin looks and feels. The benefits of monthly treatments are cumulative and can restore your skin to optimal health. You may notice a more radiant, hydrated, even skin tone after a single HydraFacial. If you want to continue to improve your skin’s inner health and outward appearance, Dr. Chow recommends coming in once a month for long-lasting benefits. Your smoother, hydrated skin typically lasts 5-7 days or longer after your treatment, depending on your skin’s pre-facial condition. Although you’ll enjoy instant improvement, HydraFacial isn’t a quick fix, but rather a continuing treatment that improves your skin over time for long-term results. If you schedule a HydraFacial on a monthly basis, your skin will maintain its best health indefinitely. Learn more about this patented, customizable facial that leaves your skin glowing. Call the office to schedule or request the next available appointment time online.